Occasionally I get a query I can’t really help with, other than my best opinion, and the advice “Have you tried your local Lambretta Club?” (All the Lambretta clubs that I’m aware of are listed here, on my links page). So I’m going to post these queries and appeals for help up here, and who knows, you may be able to chip in with a bit of advice, or knowledge that I simply don’t have. Respond via the comments, or directly to the questioner if there’s a contact email if you want to share your wisdom! Lambretta Servicing in Wyoming USA? 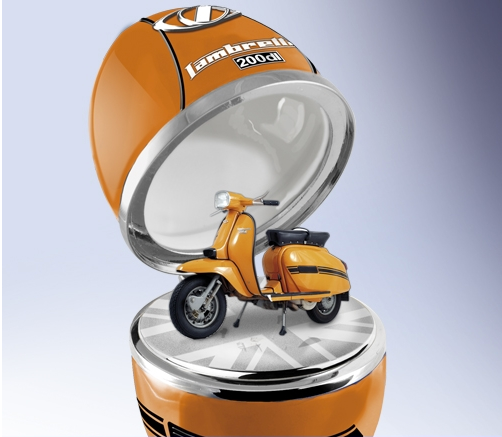 Has anybody got a Lambretta DL Egg from the Bradford exchange, like this one? Can you make Dave’s LN go faster?